Andrew K. Coffman Funeral Home, Inc.
Mrs. Ollie Mae Buttry Shrewsberry, 87, of Williamsport, died early Tuesday morning, January 2, 2018, at Meritus Medical Center, Hagerstown. She was the wife of the late Charles Orville Shrewsberry, who preceded her in death in 1977. 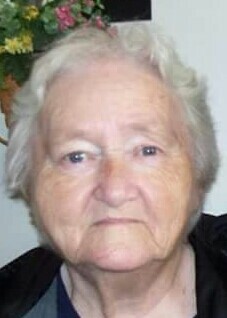 Born June 12, 1930, in Laytonsville, she was a daughter of the late Grant Willard and Linne Belle Seals Buttry. Mrs. Shrewsberry was a member of Virginia Avenue Church of God. Surviving are her children, Verna Mae Nealon and husband Ralph of North Carolina, Charles O. Nealon and wife Linda of Hagerstown, Dennis Shrewsberry and wife Harriet of Clarksburg, and Jerri L. Shrewsberry and fiancé Neil Frazier, also of Hagerstown; fourteen grandchildren and eight great grandchildren; as well as sisters, Velma R. Buttry, Madge M. Lowe, and B. Bernice Reed. Besides her husband and parents, Mrs. Shrewsberry was preceded in death by her siblings, Martha Ann Stride, and Freddie Joe Nealon. The family will receive friends at Andrew K. Coffman Funeral Home, 40 East Antietam Street, Hagerstown, on Friday, January 5, from Noon until 2:00 PM. The funeral service will begin at the funeral home at 2:00PM, with Rev. Matthew W. Price, pastor with Good Shepherd Ministries, officiating. Interment will be private. Those wishing may express condolences to the family at www.akcoffmanfh.com.